Every Copilot seat and trailer is loaded with features that add comfort and versatility to any adventure. Copilot seats and trailers have thick, plush padding, fully adjustable harnesses, and plenty of elbow and leg room, so your precious passengers will enjoy the ride. 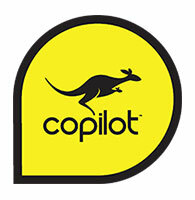 With Copilot, you and your kids can concentrate on fun. We'll handle the rest.